Looking for a pretend kitchen?! The Kidkraft play kitchens are sure to please! 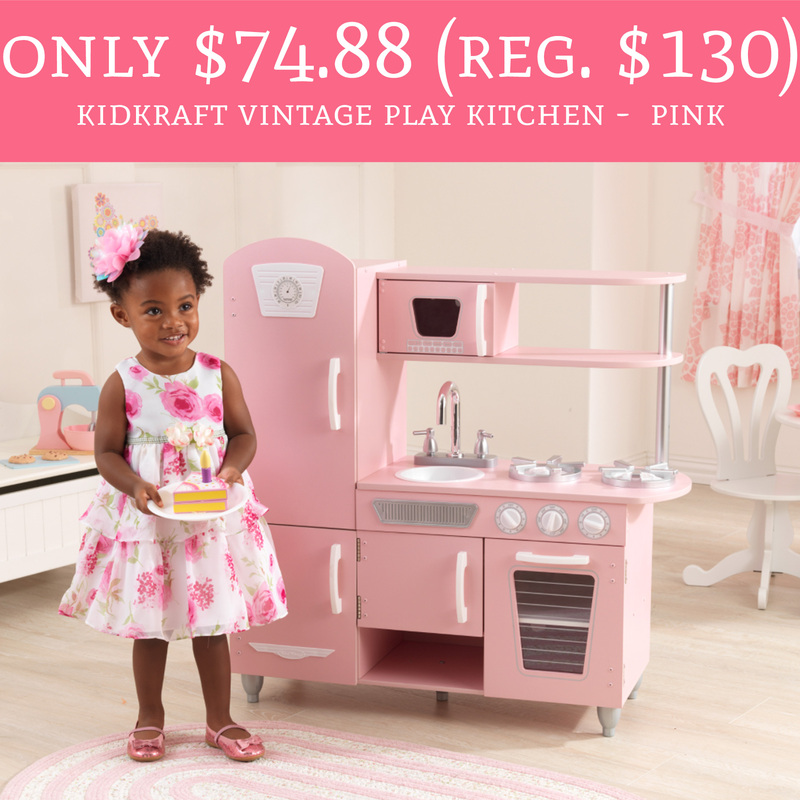 Head over to Walmart.com where you can order the Kidkraft Vintage Play Kitchen – Pink for just $74.88 (regular $130). Plus, shipping is FREE! This deal sold out insanely fast yesterday so you won’t want to miss out! Kidkraft play kitchens have great reviews and the littles love them! Order yours here!